Body By Fadi is proud to promote our new and exciting, cutting-edge interactive Fitness Builder and Fitness Classes Apps to men and women of all ages who are ready to take charge of their physiques. For this promotion, Body by Fadi is seeking 50 men and 50 women who are students, athletes, professionals, stay-at-home moms, and all others to act as Body By Fadi Ambassadors. Are you passionate about getting fit and want to inspire others through your healthy lifestyle change? Interested in trying a new state-of-the-art program while posting your progress on your social media channels, and finding support to take your online endeavors to the next level? Then you may be the perfect candidate to become a Body By Fadi Fitness Ambassador! What is a Body By Fadi Fitness Ambassador? As a Body By Fadi Ambassador, you will receive FREE access to our interactive Fitness Builder or Fitness Class programs where you can choose from over 6000 workout videos from worldwide expert trainers, nutritional tips, progress tracker and a one-on-one consultation with celebrity Fitness Trainer Fadi Malouf, owner and founder of Body by Fadi. In exchange, you will provide us with feedback about Fitness Builder or Fitness Classes, track and share your progress via social media and share with your friends, family, and followers. You can access Fitness Builder or Fitness Class via your Smart Phone, Smart TV, Laptop, Tablet and the Body By Fadi website. As a Body By Fadi Fitness Ambassador, you will promote your experience with our program with the people in your life. • Co-Workers, Clients, friends, family, and anyone you know who is interested in health, fitness, and weight loss! 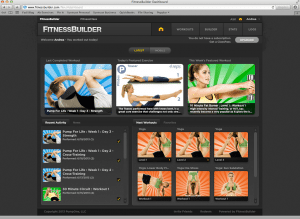 • Body By Fadi will supply you with FREE access to Fitness Builder or Fitness Classes. • At the conclusion of the program, we will send you an Amazon gift card in the amount of $100. • Additional prizes/incentives TBD to be offered for things such as; best tweets, best photos, survey participation, etc. • Promotional Sign Up Dates: Currently Open. Click on “Register Now” link below.